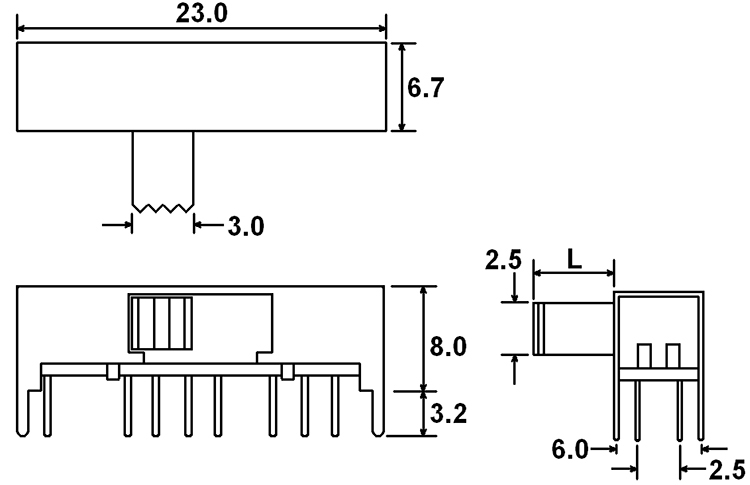 The MS4319 Series is a right angle, 4P3T steel slide switch in a steel housing with multiple position options. This unit features multiple latching options, PC pin terminal options, and a 5.5mm actuator length. 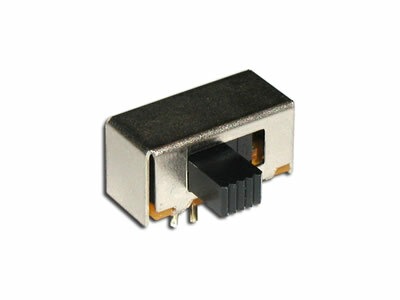 This right angle switch also features 10,000 electrical life cycles with actuation travel at 2.0mm per position and 4.0mm total.